Question 15: National leaders have labeled Christianity and Catholicism as cults, and labeled the Holy Bible as a cult book. These are generally acknowledged facts. As to why central government has labeled Christian house churches, and in particular The Church of Almighty God as cults, as my understanding and research inform me, I consider it to be like this: All who testify that God created all things, who testify that God is the Creator, that God created mankind, who testify that God rules over everything, and testify that God is the Lord of the universe, and controls the universe, and would have the human race revere only God, submit to God, and worship God, all these are cults. All who testify that God is righteous, holy, and great, who bear witness to God’s love and salvation of the human race, who condemn Satan as the devil who corrupts the human race, and as an evil force that rules the world, especially who directly attack and condemn the Communist Party, all these are cults. All who testify that the Lord Jesus has returned, who bear witness for Christ incarnate, and talk of the words and work of an ordinary human as if it were the appearance and work of the Savior, and also publicize and testify that all of the words expressed by Christ are truth, calling upon the human race to accept God, to turn toward God, and to submit to God, and who do not yield to the Communist Party, all these are cults. All who testify that the words of God are truth, and higher than everything, who testify that the Holy Bible is God’s word and that The Word Appears in the Flesh is truth, and do their utmost to eliminate and condemn Marxism-Leninism and the ideology and theory of the Communist Party, all these are cults. All who teach about and bear witness for Christ of the last days, who preach that God has returned, making all of the human race accept God’s salvation, and who call upon people to abandon everything and follow God as the only way to get into the kingdom of heaven, all these are cults. This is my understanding of the central government’s labeling all Christian house churches, in particular The Church of Almighty God, as cults. Do all of you know what a cult is by now? In China, the Communist Party is in control. The Communist Party is a Marxist-Leninist, atheist political party that opposes all theism. The Communist Party declares guilty as cults all religious groups that believe in God. This demonstrates the absolute authority of the Communist Party. Only the Communist Party is great, glorious, and correct. Anything that goes against or is hostile toward Marxism-Leninism is wrong; it is something that the Communist Party wants to ban. In China, it is necessary to esteem Marxism-Leninism and the Communist Party as great. Could it be that there is something wrong with this? You of The Church of Almighty God openly spread that Jesus has returned, and is none other than Christ of the last days, Almighty God. You also testify that Almighty God expresses truth to purify people, to save people, and that the kingdom of heaven has already arrived on earth. This has resulted in shaking up and dividing religious circles, leading to millions of people turning toward Almighty God. This has caused a giant sensation in China, and has brought severe confusion and unrest to society. In so doing, aren’t you disturbing public order? The central government therefore declares The Church of Almighty God guilty of being a cult, and implements severe attack and suppression. You are all deceived and have gone astray. The government hopes that you waste no time in repenting, distancing yourselves from The Church of Almighty God, and joining the Three-Self Church. In this way, the government will no longer hold you criminally responsible. Answer: You have explained very clearly the basis of the Communist Party labeling something cults. I feel, however, that the condemnation by the Communist Party is fallacious, and is absurd. Ultimately what is righteous, and what is evil, must be based on whether it tallies with truth, and whether or not the words of God can be a determining basis. First of all, we should all know, that only the one true God who created all things is the truth. God is the Most High, and is One whom the human race should worship. There are sayings, “There is a spirit watching right above your head,” “Humans act, and Heaven watches,” “The will of Heaven cannot be violated,” “Justice is in the heart of man,” “Good begets good, evil begets evil,” “No prayer can save offense of Heaven,” etc. All of these sayings prove that God is the Ruler of all things and He observes everything. God is truth, and all positive things come from God. Legal norms and moral standards in human society all come from the work of God, and from the words of God. Ever since creation, God has been expressing truth, guiding humans, redeeming humans, and saving humans. God is therefore man’s great Redeemer. Human beings’ belief in God, submission to God, worship of God, and following the way of God, all these are positive things, are the correct path of human life, and meet with God's blessing. On the other hand, all negative things, all evil things come from Satan. All those things that deny God, resist God, or are hostile to God, only these are evil things. So, what is a cult, ultimately? It can be said that all that is inimical to God, all that is in opposition to all of the truths that God has expressed, all that denies God, resists God, or condemns the work of God, and leads people to darkness, causing people to be far away from God, resist God, and become ever more wicked as they fall into evil, leading God to express wrath, and send down disaster, this kind of organization, this kind of evil power is what a cult is. Ever since the Chinese Communist Party came to power, it has spread atheism and the theory of evolution to deceive and corrupt the Chinese people, and has caused the Chinese people to go on a path of denying God, resisting God, and betraying God, thus offending the disposition of God, meeting the curses of God. In resisting God, the Chinese Communist Party has brought about endless calamity. The people are sunk into an abyss of suffering, are in unbearable pain, and flee abroad one after another. During so many years of power, the Chinese Communist Party has hated God exceedingly, and has opposed God, and has done lots and lots of evil, too numerous to record. The Chinese Communist Party is therefore the only real cult! In declaring Christian churches guilty of being cults, the Chinese Communist Party is totally confusing truth with falsehood, and distorting facts. Which principles to use as the basis for distinguishing the right path from a cult, this is something worthy of people's deep thought! For thousands of years, Satan has spread various heresies and fallacies to deceive and corrupt the human race, causing humans to deny God, resist God, and betray God. This has caused the human world to be more and more dark, evil, and chaotic. Especially since the Communist Party has come to power, it's been preaching atheism and the theory of evolution on a large scale, saying such things as "This world is completely devoid of God, and there has never been any such thing as the Savior," and "I am my own lord throughout heaven and earth," "Man can conquer nature and fight against heaven and earth," as well as the saying, "One's destiny is in his own hand," and "Every man for himself, and the devil take the hindmost," and "Money makes the world go round," and other such heresies and fallacies that deceive and corrupt the Chinese people, causing people to become more and more arrogant and conceited, self-centered and treacherous, greedy and wicked. People's conscience has vanished, and their humanity has disappeared. Like foul devils and beasts, people stop at no evil. They even murder each other. In China, the darkest, most wicked place in the world, upon which the great red dragon is lying, God has appeared, done work, and expressed truth for the purpose of thoroughly purifying and saving the human race, causing the human race to escape the dark rule of Satan's power, to completely turn to God, and proceed upon the path of light. These are all positive things! However, they have met with wild condemnation, and brutal suppression and persecution by the Chinese Communist Party. In doing this, isn't the CCP perversely acting against Heaven? People who have a conscience all recognize that belief in God is the right path, and that only the appearance and work of God, only the truth expressed by God can save the human race. The only true way, therefore, is the One that expresses truth, and can save the human race. All that deceives the human race, that corrupts the human race, and causes the human race to walk a path of darkness and evil, all that certainly is an evil cult. Only this is the foundational criterion for distinguishing the right path from a cult. If a church that receives the work of God and accepts truth is labeled as a cult, is this not confusing truth with falsehood, and extremely absurd? Only God is the way, the truth, and the life. Only the appearance and work of God can bring truth and light to the human race, and can save the human race from sin and Satan's influence, and bring the human race to a glorious destination. The most evil deed is when a church that receives the work of God is labeled as a cult. Only the Communist Party could do such an evil thing. Every stage of God's work is for saving the human race. For instance, in the Age of Grace, God was incarnated for the first time as the Lord Jesus. From the outside, He appeared to be an ordinary person. The Lord Jesus expressed all the truth to redeem the human race, however. In His crucifixion, He served as a sin offering for the human race, causing humans to be free of condemnation and curses of the law, allowing them to live in the grace and blessing of God. Judaism at the time colluded with the ruling power, and did their utmost to convict the Lord Jesus. They crucified the Lord Jesus. They believed that by doing this, they would put an end to the work of the Lord Jesus, and that their goal would be reached. But what was the result? Today, the gospel of the Lord Jesus redeeming the human race has spread all around the world. Hundreds of millions of people have received the grace and blessing of God. Religious circles have already acknowledged that the Lord Jesus is Christ, and is the Savior. The Christian church that was produced by the appearance and work of the Lord Jesus is the true way; it is the orthodox religion! Only the atheism of the Communist Party condemned Christian churches as cults, and condemned the Holy Bible as a cult book. Aren't these the facts? that the Chinese Communist Party could condemn the appearance and work of the Lord Jesus, and could declare Christianity guilty of being a cult is not at all surprising, because the CCP government is a satanic regime that most despises truth, and most despises God. In particular it hates every time that God appears and does work. This is completely determined by its satanic nature. 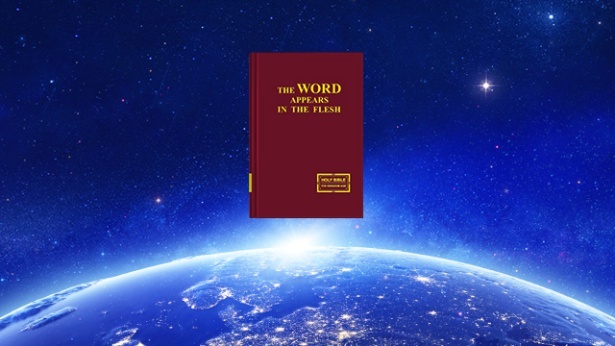 In the last days the Lord Jesus has returned as none other than God incarnate, Almighty God, who has expressed truth to do the judgment work of the last days, in order to thoroughly purify and save the human race, and bring people into God's kingdom, completely ending this old era of darkness and evil. 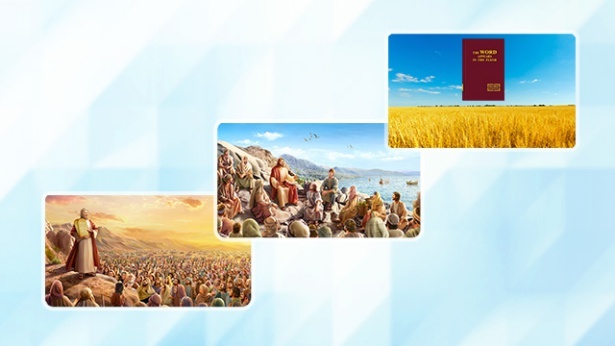 The fact that God appeared and did work is sufficient to prove that it is God whose every stage of work is leading the whole human race to develop, and that all the truths expressed by God are guiding the human race on its path toward the light. Without the words and work of God, the human race would stagnate and make no progress, and would sink deeper and deeper in sin, courting destruction. If there are people who would declare guilty every stage of God's work as a cult, what problem is this, ultimately? This is something that is really worthy of our reflection and deep consideration! 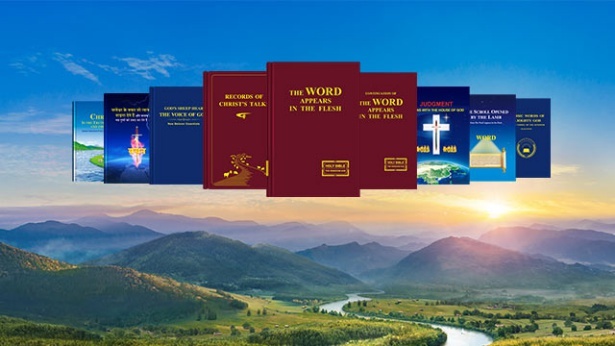 Nowadays, people of various sects and factions who love truth and seek the light have read the words of Almighty God and are able to declare that the words of Almighty God are the truth, and are the voice of God. Almighty God is the appearance of the Savior of the last days. The words and work of Almighty God are the true way, and have already been accepted, witnessed, and spread by more and more people. Why does the Communist Party insist upon doing its utmost to condemn and persecute the work and the church of God? Why is it that the more it is God's appearance and work, the more that something is truth, the more positive something is, the more the Communist Party condemns, attacks, and bans it? Isn't this going against Heaven, and extremely reactionary? Now, we can all see clearly that any party or organization that hates truth, denies God, resists God, or is hostile to God is the only real cult. Anything that fabricates various rumors and fallacies to deceive and corrupt the human race is a cult. Anything that suppresses and condemns the Christian church, and is hostile toward Christ is a cult. Anything that denies Christ, that denies truth, that opposes truth, or is hostile toward Christ is a cult. The Communist Party is the political party that most denies God, that most resists God, that most hates truth, and that most hates Christ. Therefore, the Communist Party is a typical, genuine evil cult. Previous：Question 14: In your belief in God, you all have your own ideas and opinions. It seems to me that your ideas and theories are feelings of subjective consciousness, and are of the illusory category of things. We Communists believe that materialism and the theory of evolution are truth, because they are in accord with science. Our country comprehensively provides materialist, evolutionist education from elementary school through university. Why is this? It is to imbue all young people and teenagers with atheist and evolutionist thinking from an early age, so that they all stay away from religion, and stay away from superstition, and so that they can scientifically and rationally explain all questions. Take, for example, the question of the origin of life. People in the past were ignorant and backward, and believed such stories as Pangu separating heaven and earth, and Nüwa making humans. As for Westerners, they believe that God created the human race. In fact, all of these are mythology and legend, and are not in accord with science at all. Ever since the appearance of the theory of evolution that explained the origin of the human race clearly, how humans evolved from apes, the theory of evolution has thoroughly invalidated the legends of God creating man. All things have evolved naturally. This is the only truth. Therefore we must believe in science, and in the theory of evolution. You are all educated, knowledgeable people. How can you go and believe in God? Would you be able to chat about your views? Next：Question 16: You say that Almighty God is the appearance of God in the last days, and is the true way. You also say that it was God who created this world, and who rules over what happens in this world, that it is God's work that has guided and saved people all along. What basis in fact do you have for saying this? We Communist Party members are atheists, and do not recognize God's existence or God's sovereignty in the least. Even less do we recognize the appearance and work of God incarnate of which you talk. The Jesus in whom Christianity believes is clearly a person. He had parents, and had siblings. Christianity, however, absolutely requires that He be treated as Christ, and be worshiped as God. This is utterly inconceivable. Almighty God in whom you believe is just like Jesus, clearly just an ordinary person. Why must you obstinately insist that He is God incarnate? Why must you bear witness that He is Christ Savior of the last days in person? Isn't this terribly foolish and ignorant? There is no such thing in this world as God. Even less does there exist a God as God incarnate. You obstinately say that an ordinary person is God incarnate. What is the basis of this? Are you all able to express the grounds and basis of your belief?